Tubey Toys Review: Soothe Baby With the Sweet Sounds of Lullabuddy Portable Bluetooth Speaker Just for Baby - A Parent's New Best Friend! 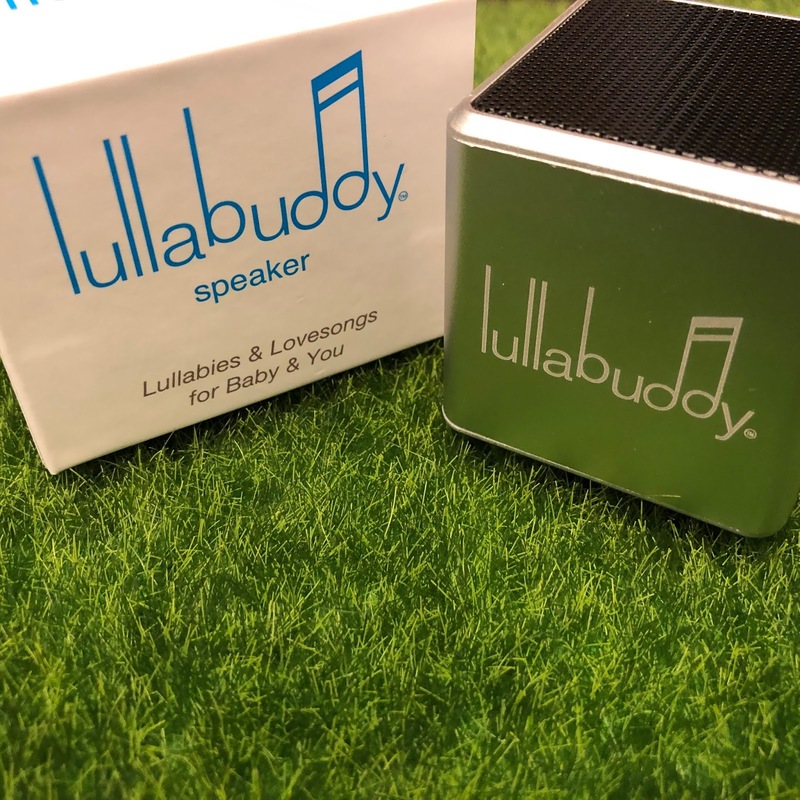 Soothe Baby With the Sweet Sounds of Lullabuddy Portable Bluetooth Speaker Just for Baby - A Parent's New Best Friend! Parents and Grandparents will love the ease of use with Lullabuddy! Babies love the sweet sounds of a song to lull them to dreamland or to just to calm down a bit. You will have ease of use, and the soothing sounds of Mae Robertson’s voice to help with getting your little one to relax with the Lullabuddy, a little cube that packs a big punch! The Lullabuddy cube is a small music player that literally starts right up out of the box. 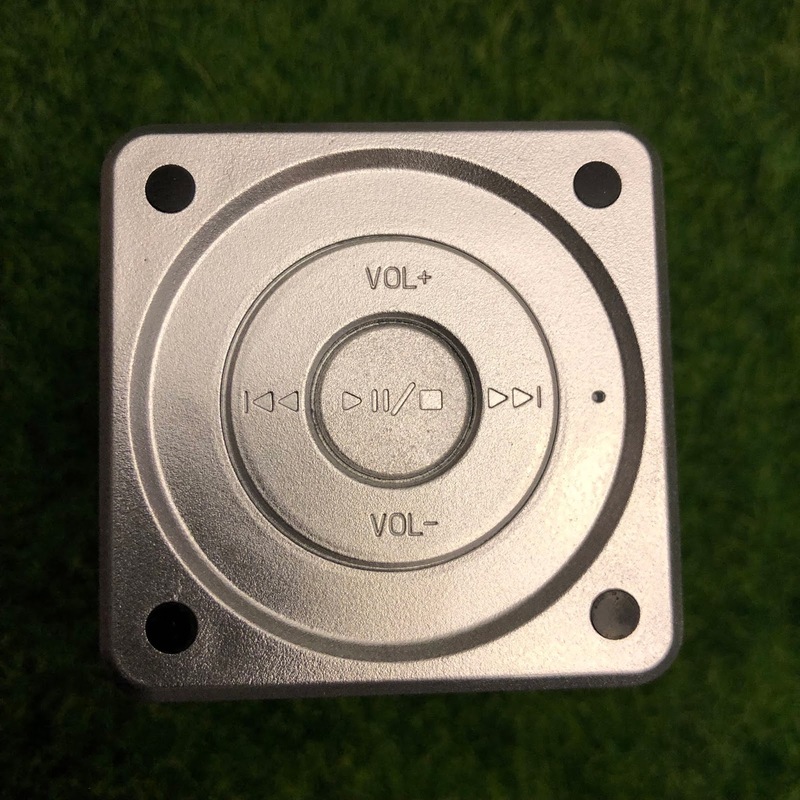 Charge it with the provided USB cord to lengthen your play time by plugging it into a laptop, or if you have a standard cell phone wall adapter, you can use that as a charging hub as well. The Lullabuddy cube is so sleek in design and so compact that you will have no problem bringing it with you on the go in a diaper bag, and it’s the perfect addition to your vacation packing list as well. I cannot tell you how many things I bring to help soothe my little guys after a long day of fun in the sun while on vacation. Lullabuddy will be a parent’s secret weapon for sure. You can find Lullabuddy on Amazon or for sale on their website for $60. You can also get a longer USB cord and wall adapter for just $6 from the Lullabuddy website, which is a very good price! 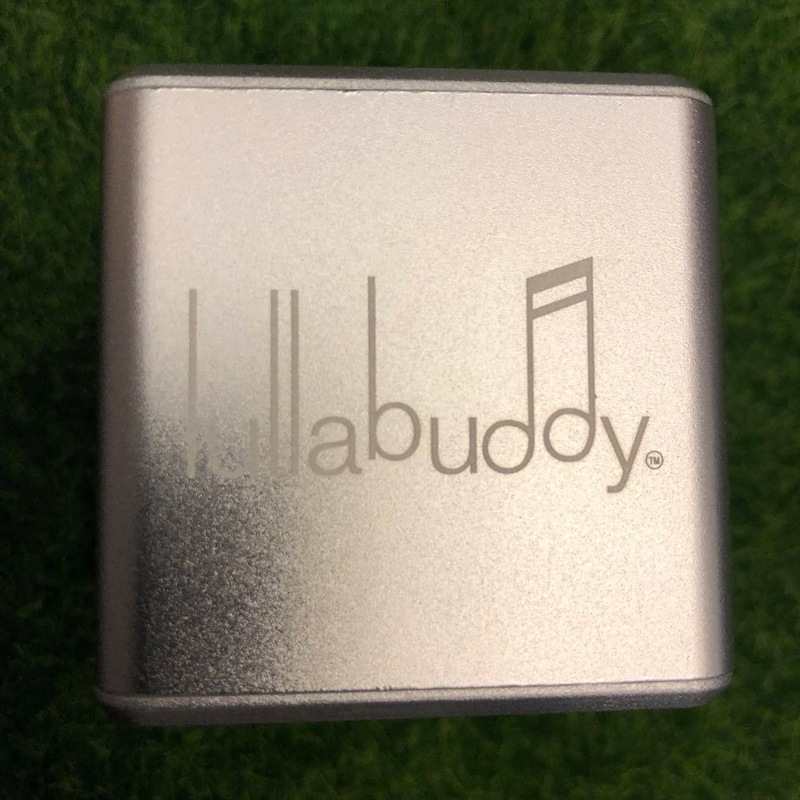 Out of the box, Lullabuddy is so easy to use, so even the most tech deficient person will be able to figure out how it works (sorry, that’s most Grandparents I know - my in-laws comes to mind!). 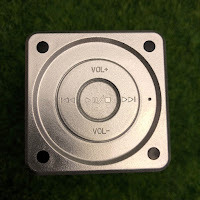 Simply turn the Lullabuddy on, and underneath the cube, you will find your control center where you can press play, pause, go back and forward, and also control the volume. On the side of the, cube there is also the power button, a shuffle toggle to mix up your playlist of songs, and a timer (the timer will play for one hour). 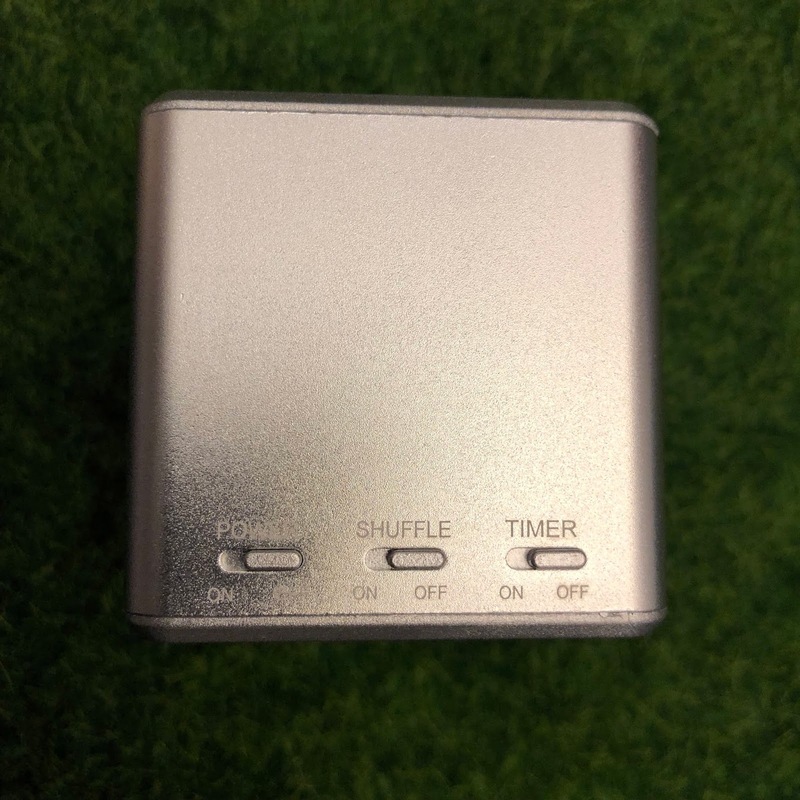 You can use the pre-loaded music, or simply pair the device to your bluetooth enabled computer, phone or tablet and stream your own music. 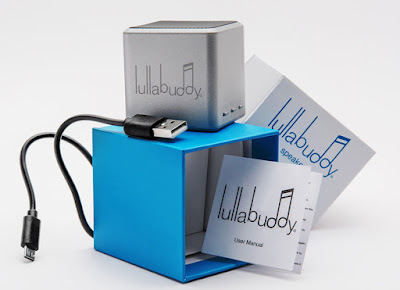 The speaker is at the top of the Lullabuddy cube, which allows for the perfect range of sound! I love Lullabuddy already! 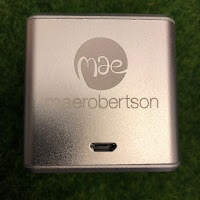 The Lullabuddy comes pre-loaded with the soothing sounds of Mae Robertson where she sings classic songs that are so calming that I honestly put my husband to sleep while testing out this amazing product! My little guy, Rocco, smiled at Mae Robertson’s voice, but her voice didn’t have any power over him as he stayed up from his nap to dance instead! The Lullabuddy is a luxurious baby shower gift for $60, but don’t let the price tag fool you, a device like this is actually very handy! Another test was taking the Lullabuddy out for a spin with my son for our daily walk to pick up my older son from school. At around 2 PM, he is very fussy, and just wants to play and not be restricted to the confines of a stroller, so I turned on the Lullabuddy during our walk, and he was quiet as a mouse. 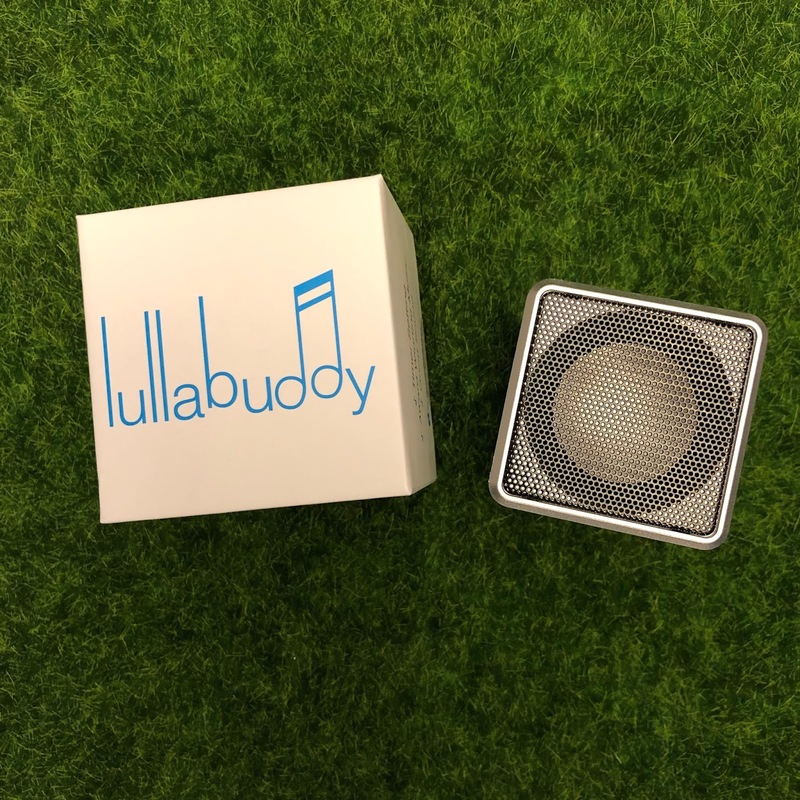 Lullabuddy’s music is loud enough to hear outside, and the speaker is so clear! Check out the full playlist of pre-loaded music here, and you will find soothing lullabies to well-known songs translated through the sweet, soothing voice of Mae Robertson. Robertson’s voice is effortless and has that maternal, soft comfort that every baby needs and wants to hear. I feel so comforted by Robertson’s songs, almost as if I was cuddling in a cozy blanket. Big thank you to Lullabuddy for sharing their amazing product with us for our review. Stay tuned to our Facebook to win your own Lullabuddy device and $25 Amazon gift card for baby! 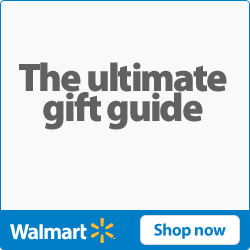 The give away is not associated with Facebook or Amazon. 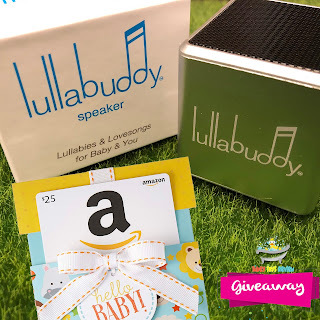 One Lullabuddy speaker (provided by Lullabuddy) and one $25 Amazon (provided by Tubey Toys Review) will be provided to a winner randomly chosen. Give away begins on April 9, 2019. Entries will only be accepted through Tubey Toys Review Facebook. The give away will end on April 25, 2019. USA Residents only, please.